Loïc Rémy (born 2 Januar 1987) is a French professional fitbawer that plays for Lille OSC an the Fraunce naitional team, primarily as a striker. 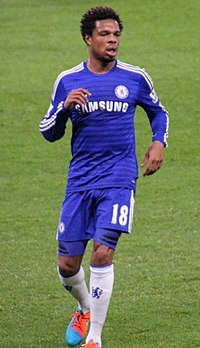 ↑ "Loic Remy Chelsea Profile". Chelsea F.C. Retrieved 2 September 2014. This page wis last eeditit on 15 Julie 2018, at 04:48.